Azerbaijani ambassador to Kazakhstan Rashad Mammadov has proposed developing joint tourism packages for foreign tourists as he met with director of Kazakhstan Tourism Industry Department Marat Igaliyev. Mammadov said tourism authorities and agencies in both Azerbaijan and Kazakhstan could cooperate in preparing tourism packages for increasing the flow of foreign tourists. The ambassador highlighted Azerbaijan`s accomplishments in tourism industry, including the establishment of state-of-the-art infrastructure and promotional campaigns. Mammadov also pointed out growth in the number of Kazakh tourists visiting Azerbaijan. 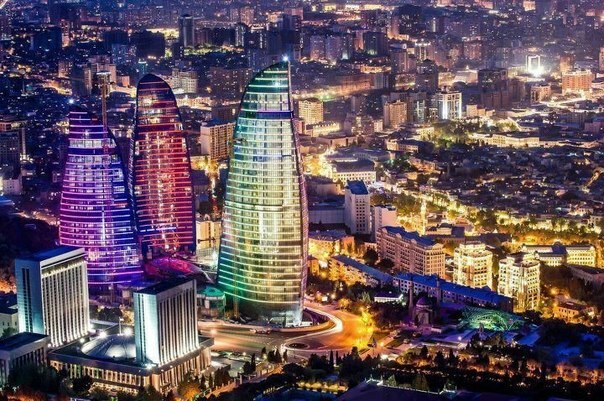 “The tourist flow from Kazakhstan to Azerbaijan saw a 14.8 per cent increase in 2016.” The ambassador said Azerbaijani was ready for cooperation to boost the flow of Azerbaijani tourists to Kazakhstan. Igaliyev praised ongoing development processes in Azerbaijan, describing Baku as one of the most attractive cities in the world. He said Kazakhstan was interested in studying Azerbaijan`s experience in developing tourism industry. Igaliyev hailed the introduction of ASAN viza system in Azerbaijan, saying Kazakhstan will consider the opportunities of applying this system. He also welcomed the Azerbaijani ambassador`s proposal to develop joint tourism packages for foreign tourists.